Mark James has practiced law in Salt Lake City since 1988. 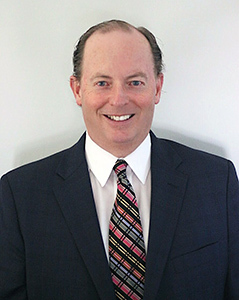 He has extensive trial experience representing clients in federal and state courts. His practice includes complex commercial and tort litigation, both on behalf of plaintiffs and defendants. He has represented clients in a wide variety of disputes, including those involving intellectual property, securities, trade secret, product liability, eminent domain, contracts, trust disputes, insurance coverage, real property, ownership and control of businesses, derivative actions, construction law, personal injuries, and class actions. Mr. James has extensive experience with disputes involving multilevel marketing companies and their distributors, disputes involving false advertising, misappropriation of trade secrets, cross-recruiting, interference with contract, and covenants not to compete. He has a reputation for being a skilled, efficient trial lawyer. Since 2016, Mr. James’ practice includes acting in the role of a mediator. He has been the mediator in numerous cases, including several multimillion dollar cases. He has a blunt, “get it done” approach to mediation and is unhesitant to employ an out-of-the-box approach to resolve disputes. highest possible rating). He also is a Certified Public Accountant. Mr. James’ clients have enjoyed significant successes both at trial and in negotiated settlements. His trial successes include, among others, a jury award of over $24 million against DHL (Express) USA, Inc. for breach of contract, breach of the implied covenant of good faith and fair dealing, and tortious interference. Settlements include a $15 million recovery in a fraud class action along with numerous other significant recoveries. In addition, he has successfully defended many companies and individuals against a variety of different claims. He also has acted as a court-appointed receiver. Mr. James received his Bachelor of Arts degree in Accounting (1984) and M.B.A. (1985) from Utah State University and his Juris Doctorate degree (1988) from J. Reuben Clark Law School (Brigham Young University).